Patrik Antonius is a Finnish born poker professional and a widely recognized player. His father was a bread delivery man and the mother worked at a day-care center. At an early age he was nominated by his tennis coaches as Wimbledon material, so he started focusing on his tennis skills. His tennis dream was shortlived as he had to stop training to a back injury. 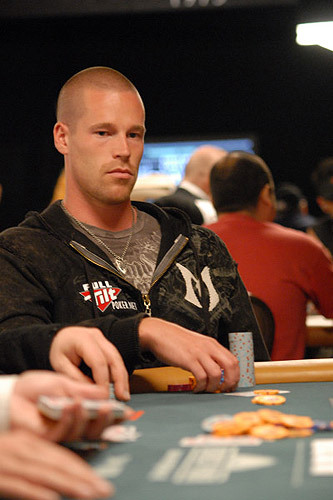 Following that, with a lot of free time on his hands, Patrik Antonius started playing card games with his friends and making profitable wins out of it. They discovered Pot Limit Omaha during high school, started playing at night and progressed from there. Trips to the casino in Helsinki followed, at the age of 18 with Antonius winning a tournament of Texas Hold’em for $225 straight out eventhough he had never played that game before. His poker journey started when he was introduced to the online game in 2002 and ended up winning a satellite entry to the World Series Of Poker Main Event. Having started full time that year, he has cashed in close to $3 million in career tournament earnings so far and is classified 1st on the Finland All Time Money List. By December 2003 he was already considered one of the top online poker players in Europe. In 2002 he moved homes to Vegas in aim to dedicate more hours to poker research and practice. Slowly but steadily, he succeeded up the ranks and levels to become a regular Big Game player at The Bellagio. Later on, in 2005, Patrik won two WPT tournaments and placed 15th for $40K at the $9,750 Championship No-Limit Hold ‘em event in San Jose, he. He also cashed more than $34K when placing 12th in the $7,800 No-Limit Hold ‘em Main Event. He followed by classifying 3rd at the EPT €4K Main Event in Barcelona for $145K, and then winning the EPT €4K Baden classic for $340K. Later came his biggest tournament cash win to date for over $1 million in 2005 when placing 2nd in the WPT $15K Main Event at the Five Diamond Classic. Next came nine WSOP cashes and four WPT as well as making it to the final table of the $10K Pot-Limit Omaha Championship event at the 2008 WSOP and placing 7th for over $124K. Patrik is the first Team Full Tilt pro to have accepted the $1.5 million durrrr Challenge online at Full Tilt Poker. With his best game being any short-handed game, especially Hold’em and PLO, Patrik plays aggressively and intuitively. Patrik appears regularly on the TV shows “Poker After Dark” and “High Stakes Poker”. Rumour has it he has taught himself how to play Texas Hold’em and is said to have an ongoing friendly rivalry with poker buddy Gus Hansen. He also gained a seat in the group of internationally successful players making their mark in the poker world – “Circle of Outlaws”. In 2000, he won the Pot Limit event at WPT, in 2002 he won the S.H.O.E, 7-Card Stud Hi-Lo Split, and the $1500 7 Card stud event and in 2005 he won the Pot Limit Omaha event. Patrik, who’s only weakness is needing more patience at the table, is one of the biggest winners in the history of online poker. Showcasing a myriad of betting skills, his technical master ship shows best during short-handed play. Together with Phil Ivey, Patrik is the only player able to win during the mixed games at the highest levels whilst hardly ever having played these games.